The Eagle Valley Landfill is located in Orion Township, Oakland County, Michigan and is owned by Waste Management, the leading provider of comprehensive environmental services in North America. 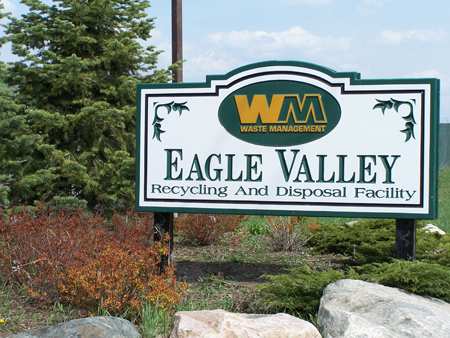 Eagle Valley has been in operation for several decades and manages the solid waste needs of Oakland County residents and businesses. Eagle Valley is more than just a landfill, it’s a true community resource and benefit to Orion Township — Eagle Valley is a local employer, a recycler, a community partner, and a leader in green energy. Every day, decomposing waste in landfills creates thousands of cubic feet of landfill gas, which provides methane that is captured and utilized as a green energy source – an alternative to fossil fuels. Waste Management has invested millions of dollars to develop Eagle Valley as a modern landfill with a state-of-the-art landfill gas collection and delivery system. This investment has allowed Eagle Valley to harness the green energy potential of solid waste and help power the local economy. Currently, the General Motors Orion Assembly plant uses Eagle Valley’s landfill gas to power a portion of the plant’s operations. Landfill gas from Eagle Valley, and another local landfill, helped General Motors virtually eliminate the burning of coal at the plant. Landfill gas was credited with saving the company more than $1.3 million in energy costs in 2008 alone, and was a contributing factor in the decision to keep the plant operating during the company’s recent restructuring. In addition to serving as a source of energy to GM, WM also provides energy to DTE through a renewable energy plant that converts landfill gas into electricity. Eagle Valley is licensed by the Michigan Department of Environmental Quality and is included in the Oakland County Solid Waste Management Plan.